There are 33 hotels from the towns of Bahía de Banderas and Compostela offering discounts of up to 55 percent, kids stay free, complimentary dinners and tours, among other amenities. 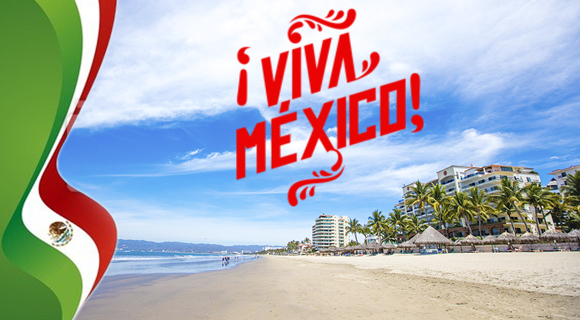 On September 5, 2016 the Riviera Nayarit launched an entire month of promotions titled ¡Viva México! for visitors looking to spend a few days in Mexico’s Pacific Treasure. The Riviera Nayarit Convention and Visitors Bureau and the Bahía de Banderas and Compostela Hotel and Motel Associations have been working together to coordinate this year’s fourth round of promotions in order to expand upon the Destination’s excellent summer season. The offers include discounts of up to 55 percent; kids stay free; complimentary tours and dinners; resort, spa or golf credits; free Internet; unlimited calls to Mexico, the United States and Canada; free parking; unlimited rounds of golf; free childcare; and guaranteed room upgrades. Participating hotels in Bahía de Banderas include Bel Air, Dreams Villamagna, Four Seasons, Grand Palladium, Grand Velas, Grand Sirenis Matlali, Hard Rock Hotel, Las Palomas, Iberostar, Imanta, La Tranquila, Marina Banderas, Marival Residences and Resort, Occidental Grand, Ocean Breeze, Paradise Village, Rancho Banderas, RIU Jalisco, Palace and Vallarta, Royal Decameron, Samba, St. Regis, Royal Suites, Vallarta Gardens, Villa del Palmar and La Estancia, Villa Varadero and Vista Vallarta. Compostela hotels include Decameron Los Cocos, Cabañas del Capitán and Villa Corona del Mar. There are a total of 33 hotels and resorts that are ready to pamper their guests.